Prom season is just around the corner, and that means high school students are beginning to plan the most magical nights of their lives. For must prom-goers, the ideal night starts with having the dress or tux of their dreams, finding the perfect date, and of course, arriving in style. The limousine is one of the quintessential parts of prom. Using a limousine service in Wilkes-Barre/Scranton will be the best way to ensure that you are going to have a great time and be the envy of all your friends. The ride over to the prom venue should be one to remember. Whether you are headed to the Radisson, Genetti’s, or Fiorelli’s, arriving in a limousine will be half the fun of the most memorable night of your life. Instead of having to worry about directions and parking, let the limo driver take care of that. One of the many perks of using a limousine service in Wilkes-Barre/Scranton is that the drivers at AAAA Transportation know the area, which eliminates the stress of arriving late or at the wrong venue. Finding a limousine for prom is like finding a dress or suit, you need to find one that fits you. Luckily, using a Wilkes-Barre/ Scranton limousine service like AAAA Transportation will ensure that you have an abundant amount to choose from. Traveling with your friends will be made easy; your party will have the option of a 6 or 8 passenger limousine that are made with travelers in mind. They are spacious and comfortable with genuine leather seats. Each limousine also comes with the option of decanters, glasses and ice compartments, tinted windows, televisions, DVD players, and special mood lighting. These options are designed to get you and your party in the pre-prom mood so that you’re guaranteed to have a special time arriving to prom. Remember, prom is supposed to be one of the best nights of your life, and the big cherry on top is riding in a limo. 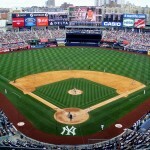 When it comes to your favorite sports team, there’s nothing that compares to seeing them live in action. Getting to the event should be half the fun, which is why you and your friends need to hire a sporting event limousine service. Going to see your team compete can often be a once in a lifetime experience. Not many people make it off their couches at home to see the big game. Most of the time, you’re stuck behind a television screen, shouting and cheering from your living room or a bar. Seeing the game first hand is an opportunity like no other. Getting close to star players, catching a fly ball at the RailRiders game, and feeling the energy of all the fans around you. All of this is waiting for you, so how are you going to get there? Don’t waste time and stress by driving you and a bunch of your friends on your own, hire a sporting event limousine service in Scranton/Wilkes-Barre to take care of you. A professional driver will pick everyone up; all you have to do is enjoy the ride. Talk about your game predictions, watch pregame highlights, and arrive in style to your sporting event. You can stay local, or travel to bigger cities like Philadelphia and New York City. Once you arrive at the arena or stadium, you can continue to enjoy a stress free start to the event. Your driver will worry about parking so that you can get pumped for the game tailgating with fellow fans. Your Scranton/Wilkes-Barre limousine service will even be there to pick you up whenever the game is over. Even if the team loses, you still have the victory of getting home safely and in great timing. Make the right play on game day and choose a sporting event limousine service. You can forget the stress and focus on what really matters- cheering on your team first hand with your friends! Why Should You Rent a Town Car? When you have a big presentation or business meeting, the last thing you want to think about is how you are going to get there. Between reviewing your notes and discussing proposals with your coworkers, your thoughts are on a whole other planet. To help get to your meeting safely and on time, a great option is to rent a Town Car for you and your coworkers. 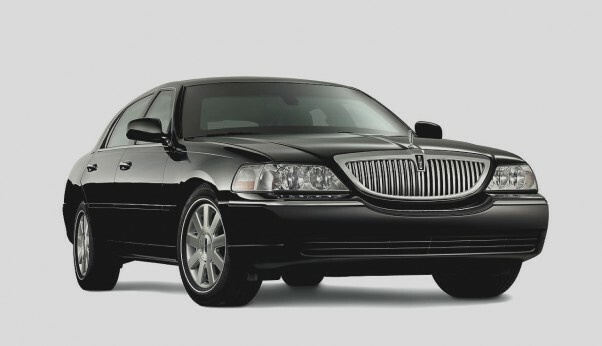 Renting a luxurious Lincoln Town Car allows you the freedom to use your travel time for work purposes, or to sit back, relax and mentally prepare for your day ahead. With a driver who is dedicated to safely driving you to your destination, you can leave the unwanted worry of navigating through traffic, or trying to weave your way around an unfamiliar area to someone else. Stressful days are bad enough without the worry of whether or not you are going to make it to your destination on time. Leaving the transportation stress to a trained professional is worth it, especially when you have a big day ahead of you! Renting a Town Car in Wilkes-Barre is sure to be a pleasant experience. With relaxing leather seats, climate controls for your comfort and enough room to seat up to three passengers, a Lincoln Town Car rental is the perfect choice. With a Town Car rental, you don’t have to worry about, “who is going to drive”, or “we might be late, I have to stop for gas”. You simply walk out of the office, hop in the Town Car, and you are on your way to your destination. After the workday is done, make use of your driver’s local knowledge and set aside little time to relax. Your driver will know of a number of great restaurants, entertainment opportunities or shopping options; your Town Car driver is a wonderful resource. Unwind with your coworkers with comfort of knowing you have a safe and reliable Town Car to take you home. Have a big client coming to visit your office? Send a Town Car to pick them up! Allow your client to arrive relaxed and ready to discuss business- talk about a great impression!